With strong vertical lines inspired by the columns of the Parthenon, the temple of Athena in Greece, this shiny silver tone frame packs a big style statement. Designed with attention to detail, front and back. 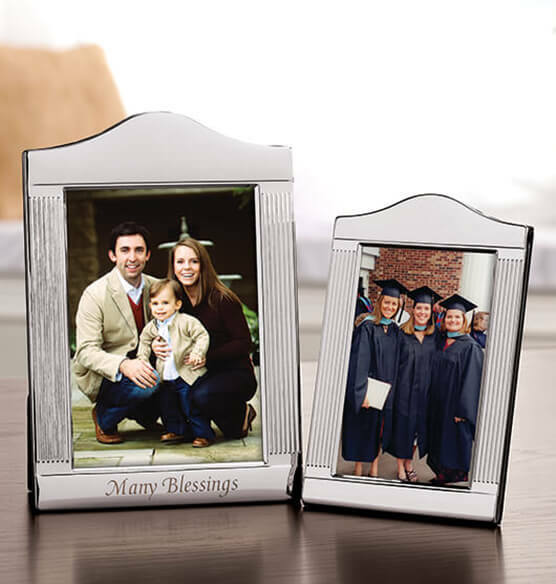 Fits beautifully with any décor style. 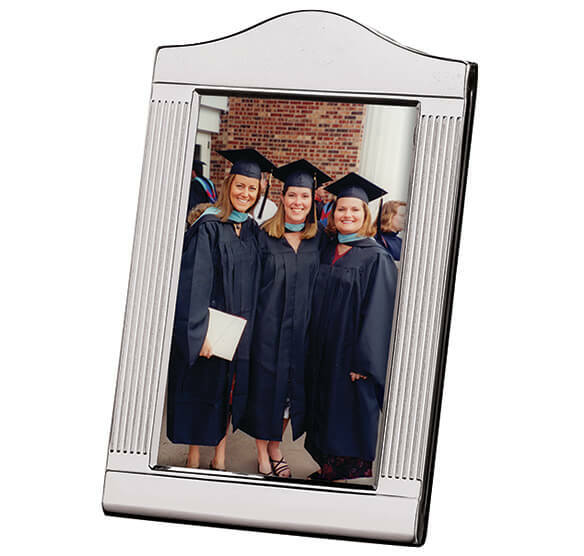 Add personalization to the bottom to create a one-of-a-kind keepsake. Makes a perfect wedding gift.